Getting proper sleep is vital to our health and well-being. Sleep is the time for our physical, mental and emotional selves to restore and repair through important biological and physiological functions. This is the period when the brain is doing a lot of housekeeping to maintain our health and well-being. Why is breathing important for sleep? There are several stages of sleep that we go through during the night; each playing an important role. Often these stages are interrupted because our modern schedules aren’t operating in conjunction with the body’s natural rhythms and cycles. In an overly stressed culture, we’re living in autonomic imbalance in the nervous system. In my opinion, this is one of the largest factors affecting sleep disorders, as many sleeping issues are rooted in our daytime activities. Most of us have become accustomed to running on our stress response system on a daily basis. We stay engaged in some form of activity well into the evening, and then find it difficult to unwind for sleep. When we are in this rhythm of stress and high activity, breathing rates and patterns change to account for the demands on the body. 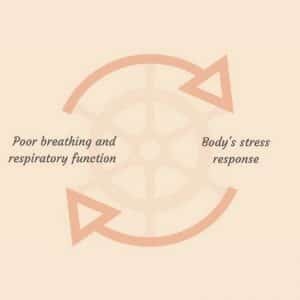 Poor breathing rates and patterns activate the stress response AND stress influences poor breathing or respiratory function. Years of this habitual pattern result in chronic insomnia and a host of other illnesses. As we begin to live like this during the day, we develop poor breathing habits while we sleep. This is called Sleep Disordered Breathing (SDB) and is not only prevalent in adults but children as well. The latest research on SDB in children reports not only a myriad of health issues, but also behavioral changes impacting both home and school life. Daily breathing exercises are a wonderful tool for improving sleep patterns resulting in a more restorative sleep. 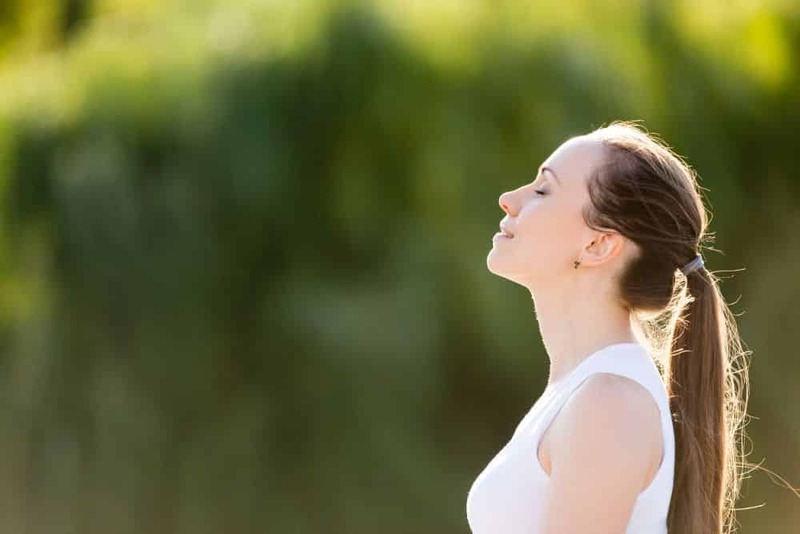 How we breathe plays a large role in balancing our Autonomic Nervous System (ANS) which is comprised of two systems that regulate our stress and relaxation responses. We can retrain our breathing back to its natural diaphragmatic breathing pattern. In doing so, we shift from breathing that stimulates the fight or flight response (and the release of cortisol) to restful breathing that restores and supports the body’s natural relaxed state. Focusing on our breathing brings our mind into the present moment so we can evaluate the current situation more accurately and become more in tune with our bodies. Specific yoga breathing techniques are a wonderful tool to improve endocrine function and assist other physiological functions to help us get a good quality sleep. Guided breathing is recommended for relaxation, stress management, anxiety, fatigue, sleep issues, heart health, proper digestive function, cognition, emotional self-regulation and so much more. The body follows a natural cycle called the circadian rhythm. Our body is performing various functions throughout this 24-hour cycle. When this cycle is interrupted, we begin to experience various hormone imbalances. Diaphragmatic Breathing: During the day, retrain your breathing during any and all activities by breathing into your diaphragm. Slow your breathing to a pattern of 12 breaths or less per minute. If the mind is very active in the evening, double the length of your exhale. Try 4-7-8 breathing to slow your breathing and relax your body. Alternate Nostril Breathing is a great, easy tool for pre-sleep or if you awaken during the night. If you do awaken, inhale only up the left nostril and exhale out the right for several rounds. Take Brain Breaks throughout the day. Try to do this every 90 to 120 minutes. Here’s a brain break exercise to balance both the left and right hemispheres of the brain and calm the body and mind. 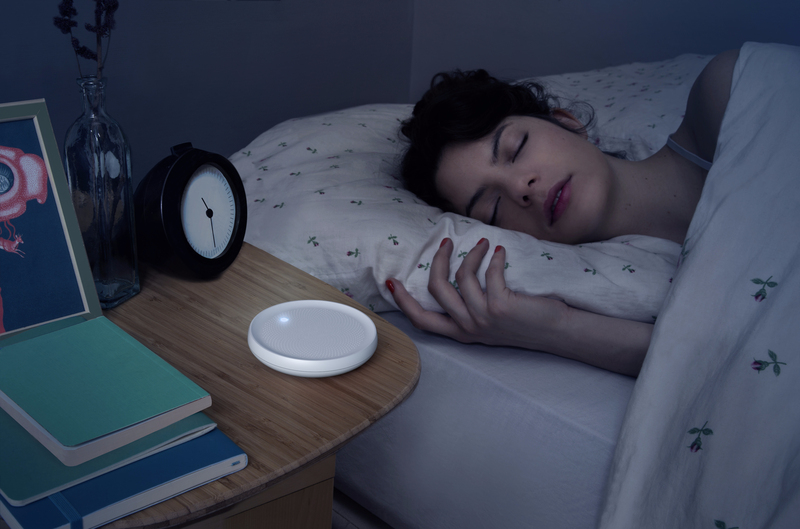 If you need a little help with your sleep breathing exercises consider purchasing a Dodow. The Dodow projects light onto the ceiling, so you can breathe in rhythm with the light, inhaling when the beam expands and exhaling when it retracts. Please note: This article is not to be used as medical advice. If you are considering a sleep treatment please consult your doctor or medical professional. This post may contain affiliate links. 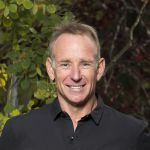 Ed is an author, inspirational speaker, coach and educator. Ed’s mastery in the art & science of breath has guided him to apply mindful, conscious breathing practices in corporate wellness, executive coaching, fitness, weight loss, stress reduction and overall health and well-being. Ed is the author of Life With Breath IQ + EQ = NEW YOU. What is snoring doing to your brain? Such great advice. I have shared this with my wife. Keep up the good work. This is so interesting. I think breathing is so often overlooked. Thanks for sharing this. I hope it helps you Katrice. I love the article. I never knew that breathing is so much important for sleep. Thanks for sharing. Thanks for reading Namrata. Try some of the exercises at the bottom. I hope they help you. This is wonderful. I didn’t realise how important breathing was. Great article, you really know your stuff, Ed. Ed is fantastic! Thanks for reading. 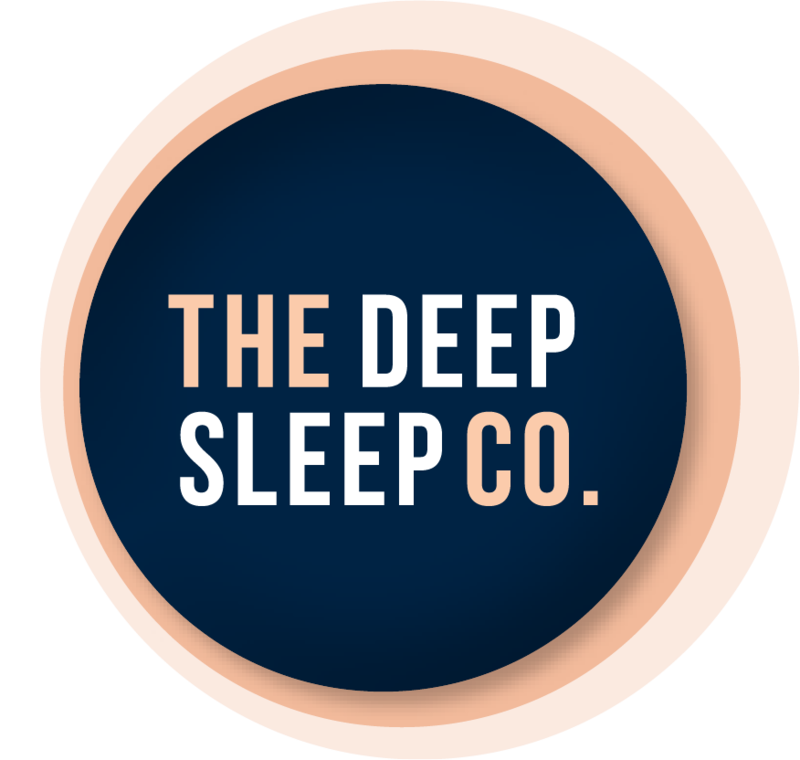 Join our Facebook Community Group for discussion, questions, links, stories and photos about sleep and particularly getting to sleep. We are here to help. Click here to join.